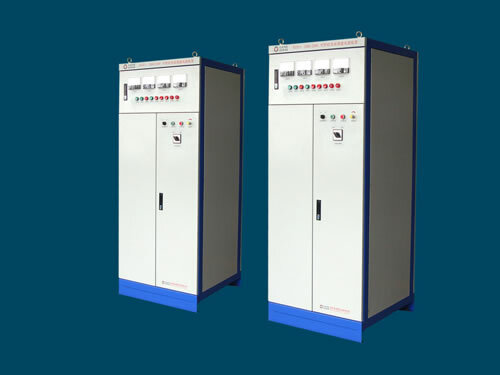 The computer control synchronous motor excitation device adopts thyristor three-phrase bridge controlled rectifier, DSP microcomputer digital constant current excitation control and slipping sub synchronous detection. The thyristor excitation device is accurate and reliable, and the output response speed is fast and non-overshoot. As a kind of synchronous motor excitation power supply, this synchronous motor excitation device can be broadly used in large ball grinder, rolling mill, gas compressor; ore crusher, large wind machine, drainage pump and other synchronous motor drive systems. 1. The computer control synchronous motor excitation device adopts thyristor to test contactless de-excitation control automatically. 2. Master controller adopts DSP computer digital trigger, current and voltage close-loop regulating control. This thyristor excitation device is of fast response speed and no overshoot. 3. The synchronous motor excitation device has full voltage or step-down start control function. 4. We can configure CAN BUS, PROFIBUS, ETHERNET, RS485 and RS232 optical fiber communication to realize remote control or monitoring. 5. This thyristor excitation device's main protection functions are as follows: open phase, over voltage, under voltage, fast fuse blown fuse alarm and circuit breaker protections of AC power supply; output over excitation, lack excitation and magnetic loss protections. This synchronous motor excitation device also owns functions of output short circuit and instantaneous overload protections; SCR rectifier components, rectifier transformer and bus copper bar overheating and other protections. 7. This thyristor excitation device can display, store and record working current, working voltage and historical time curve in time. 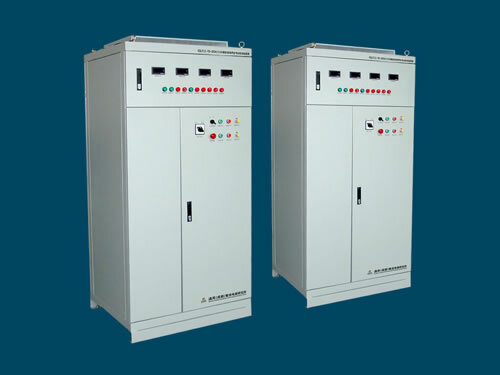 Chengdu General Rectifier Research Institute is a professional manufacturer and supplier of computer control synchronous motor excitation devices in China. In addition to this thyristor excitation device, we also produce computer control motor excitation device. Our products have been exported to many countries like USA, Germany, Australia, Singapore, India, Brazil, Iran, Vietnam, Kazakhstan and Malaysia, etc.